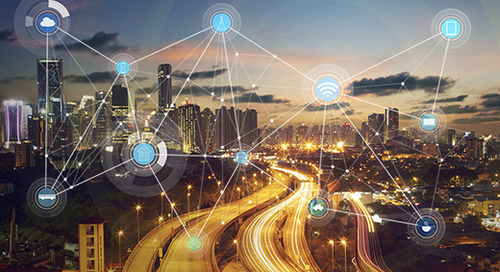 The Internet of Things (IoT) allows multi-site companies to gain data on how facilities are performing allowing for smart business decisions to create for a better customer experience leading to higher profits. 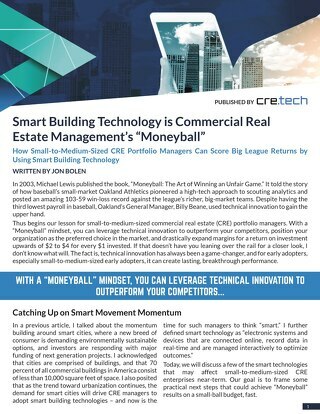 ENTOUCH partnered with a leading CRE services provider, Brookfield Global Integrated Solutions and EnerNOC to provide fully integrated, CRE smart building platform. 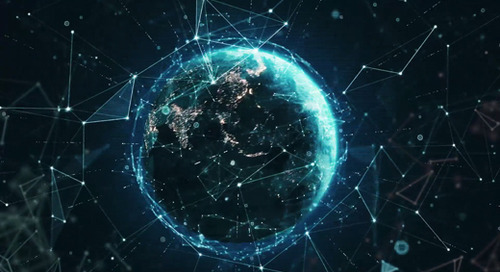 The ENTOUCH.one Gateway offers connectivity to disparate data through wireless, IoT powered sensors and cloud software providing customers with one system of record for total facilities intelligence. What Is A "Smart" Intelligent Building? A smart building allows you to identify assets which may be underperforming for sustained savings. CEC Entertainment, Inc. leverages ENTOUCH to save over $1M annually by reducing energy consumption and maintenance costs. 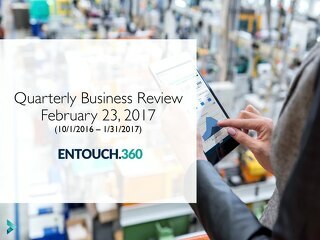 ENTOUCH.360 provides managed services and 24/7 support for simplified energy and facilities management. Access this document to learn more. 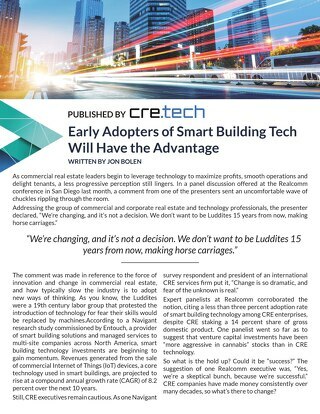 "Smart Building Solutions for Enhanced Tenant Experience” reveals research conducted by Nagivant after conducting interviews with a focus group of commercial real estate (CRE) executives. This whitepaper outlines the key performance indicators (KPIs) critical to effective restaurant facilities management. 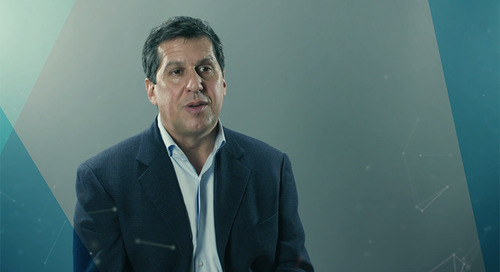 Data allows you to understand how to operate a higher performing business that will generate greater profits in return. 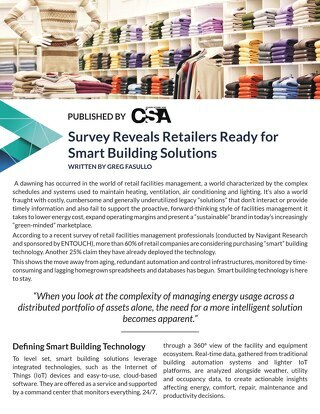 Access "The Evolution of Intelligent Buildings in Retail" by Navigant Research to learn why of 200 retailers, 77% of retailers are considering smart building solutions. The Internet of Things (IoT) is quickly moving from a buzzword to something that has business value that creates real cost savings for for multi-site businesses. 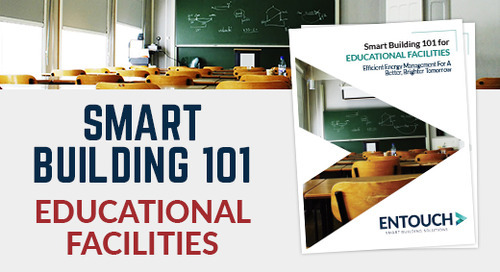 This whitepaper uncovers how educational facilities can leverage smart building solutions to create a sustainable, productive learning environment while significantly cutting operating costs. By helping companies reduce their energy costs, businesses will be able to significantly reduce their carbon footprint. Copyright © 2017 ENTOUCH | All Rights Reserved.